International Draughts Federation IDF in accordance with the Calendar of the competitions in 2016 holds from December 10 (day of arrival) to December 18 (departure day), 2015 in St. Petersburg (Russia) Final of World Cup 2016 in draughts-64 – International competitions memory Vasily Sokov. 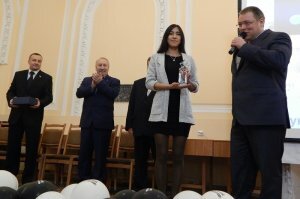 Competitions are held with the support of the Foundation for Assistance for development of Draughts Sports “Russian Draughts.” Ivan Tokusarov won Blitz. Dmitry Tsinman won classic program. 17-12-2016 World Cup Final had been completed. 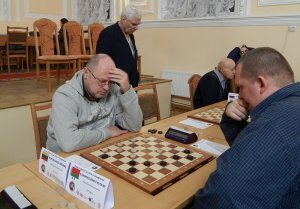 In the last round Dmitry Tsinman play a draw with a young representative of Belarus Mikhail Semianyuk and with the result of 14 points ranked first. The acute struggle broke out for the second and third place. Vladimir Scrabov won strong international master Mikhail Kiselyov (USA), and Ivan Tokusarov won a dramatic game the international grandmaster, world champion in Rapid Arunas Norvaishas (Lithuania). As a result, Mikhail Semianyuk, Vladimir Scrabov and Ivan Tokusarov scored 13 points. The fate of the medals decided an additional criteria – a truncated Solkof. 15-12-2016 After 7 rounds of the World Cup Final with a score of 12 points still leading international grandmaster Dmitry Tsinman. International grandmaster Arunas Norvaishas from Lithuania took an important victory today over international grandmaster Evgeny Kondrachenko (Belarus) and went to the second position of the standings. 5 players have 10 points and will continue to fight for the medals. The central match of the 8th round tomorrow is between the leaders of the tournament Dmitry Tsinman and Arunas Norvaishas. 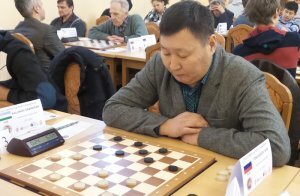 15-12-2016 Today at 11.00 in the premises of office of the St. Petersburg Internet newspaper “Fontanka.ru” was held an exhibition blitz match between international grandmasters, European champion 2016 Nikolay Struchkov (Yakutia, Russia) and the silver medalist of the European Championship Evgeny Kondrachenko (Belarus). With the score 3:1 won the European champion 2016 Nikolay Struchkov. Match was organized by the Foundation for Assistance for development of Draughts Sports “Russian Draughts.” See video of the match HERE. 14-12-2016 5th and 6th rounds of the World Cup Final and the 5th round of junior tournament took place today. 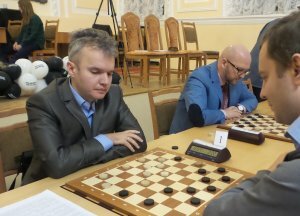 In the World Cup Final still leading international grandmaster Dmitry Tsinman. Today he played in a draw in both rounds with Ivan Tokusarov and Nikolai Makarov, and he has 10 points. 9 points have 5 players. 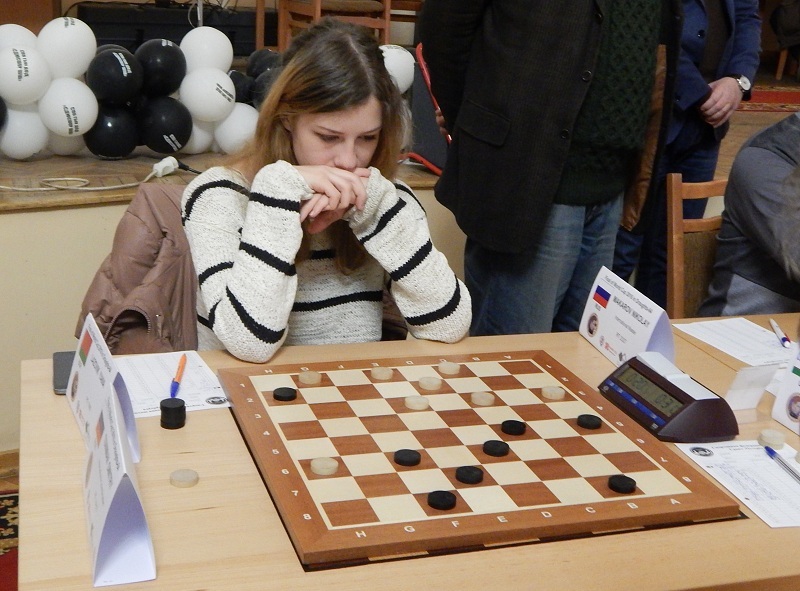 Among them, the representative of Belarus Yana Lazovik, which sensationally won in the 6th round of the experienced Russian grandmaster Mikhail Goryunov. Tomorrow she will meet with the leader of the tournament Dmitry Tsinman. 13-12-2016 4th round of the World Cup Final and junior tournament was held today. 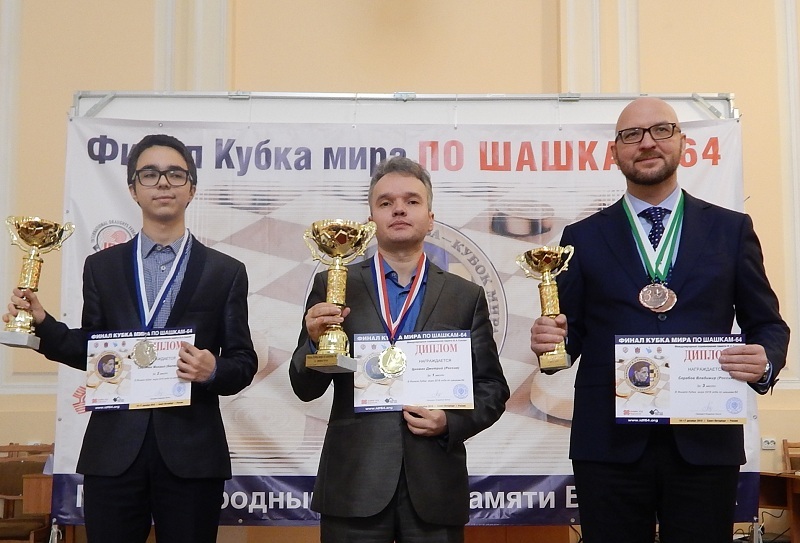 In the World Cup Final the sole leader with a perfect result (8 points) became an international grandmaster Dmitry Tsinman from Kazan. He won in the 4th round International Grand Master from Uzbekistan Samandar Kalanov. A large group of players has 6 points. In the junior tournament with a perfect result lead Dmitry Sirotin from Dzerzhinsk and Vladimir Maksimov from the Murmansk region. As part of the World Cup Final events provided plenty of activities to promote the draughts. Today the president of the International Draughts Federation Vladimir Langin gave a a simultaneous game in the St. Petersburg House of nationalities. Tomorrow a great interview on the radio gives the European champion 2016 among women Zhanna Sarshaeva. 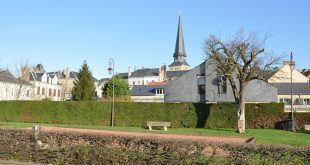 12-12-2016 2nd and 3rd rounds of the classical program of the final of the World Cup and Youth Tournament are held today. See current results. 11-12-2016 86 players from 18 countries took part in the Blitz program of the Final of World Cup 2016. The competition was held on the Swiss system in 9 rounds. To finish with the same result of 15 points came International Grand Masters Tokusarov Ivan and Tsinman Dmitry, who won in the last round Eugene Kondrachenko. Ivan Tokusarov had the best coefficient. 11-12-2016 Final of World Cup 2016 in draughts-64 – International competitions memory Vasily Sokov started today. 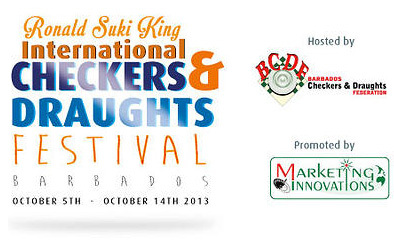 10 Grand Masters take part in the competition. 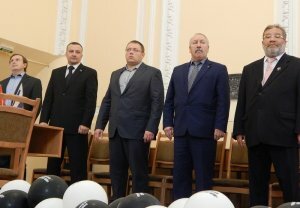 Among them, current world champion in Rapid Arunas Norvayshas (Lithuania), silver medalist of European Championship 2016 Eugene Kondrachenko (Belarus), Asian champion Samandar Kalanov (Uzbekistan), winner of the World Cup 2015 Vladimir Skrabov (Russia, Yaroslavl) , leader of the world Cup 2016 Dmitry Tsinman (Russia, Kazan), the ex-European champion Ivan Tokusarov (Russia, Yakutia); prize-winners Stages of World Cup 2016 International Masters Dmitry Melnikov and Damir Rysaev from St. Petersburg, Mikhail Semianiuk (Belarus), and European champion among women, International Grand Master Zhanna Sarshaeva from St. Petersburg, which became the winner of the recently ended in Haifa (Israel ) the 6th stage of the world Cup in blitz game and the silver medal at this stage in the classic game; as well as the prize-winner of the World Championships, multiple World and European champion among veterans, International Grand Master Nikolay Abatsiev from Moscow. 1st round of classic program in World Cup, Youth tournament and Blitz are held today. See current results. 26-09-2016 December 10, 2016 in St. Petersburg (Russia) starts Final of World Cup 2016 in draughts-64 – International competitions memory Vasily Sokov. Vasily Sokov, champion of the USSR 1938-41′s, was born December 26, 1912 in Yaroslavl region, died March 3, 1944 in the Battle of Narva. Most of his life he lived in Leningrad. Vasily Sokov was a very strong player, magician of draughts, the founder of the progressive Soviet school of draughts art, consummate theorist and innovator, humble and helpful people – so he will remain forever in the hearts of lovers of our folk game. International draughts tournament memory Vasily Sokov are held in St. Petersburg for many years as a tribute to the memory of a champion.